As the end of the year draws near, the music release lists may be slowly getting shorter, but there is still quality music being released. 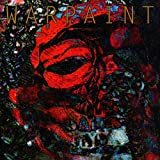 Warpaint's The Fool has been in the rotation weeks at my house, and is almost a lock to end up on my favorite albums of 2010 list. Other releases already sent my way that I can strongly recommend include Andrew Bird's instrumental album Useless Creatures (previously only available with the deluxe edition of his 2009 album Noble Beast), Jim Bryson & the Weakerthans' Falcon Lake Incident, Josephine Foster & The Victor Herrero Band's Anda Jaleo, and Pomegranates' One of Us. Alan Moore's Unearthing is an intriguing 3-CD, 3-LP box set from the legendary comics writer which includes contributions by Mike Patton, Zach Hill, and others. The Superions' Destination: Christmas is bound to be one of the year's most fun holiday records. If you have children, either Lullaby Renditions of Pearl Jam, Lullaby Versions of Songs Recorded by Michael Jackson, or the more traditional children's album Kids by Keller Williams might interest you. Reissues this week are led by the 17-CD Apple Records Box Set, which collects 14 remastered albums by Badfinger, Billy Preston, and others. Other reissues out this week include remastered editions of Carl Wilson's second solo album Youngblood and The Fall's Unutterable (which comes with a CD of bonus material). What new releases are you picking up this week? What can you recommend? Have I left anything noteworthy off the list?